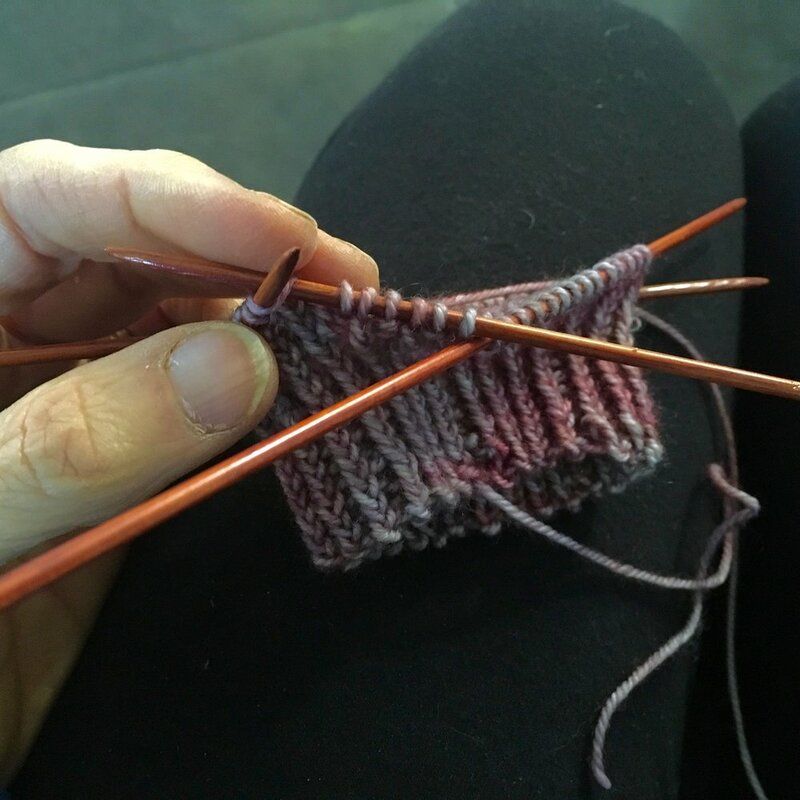 First off the needles, a pair of socks. I can't tell you how many doctor and dentist appointments I've taken these to, to knit a round or two in the waiting room! Finally, now I can wear them. 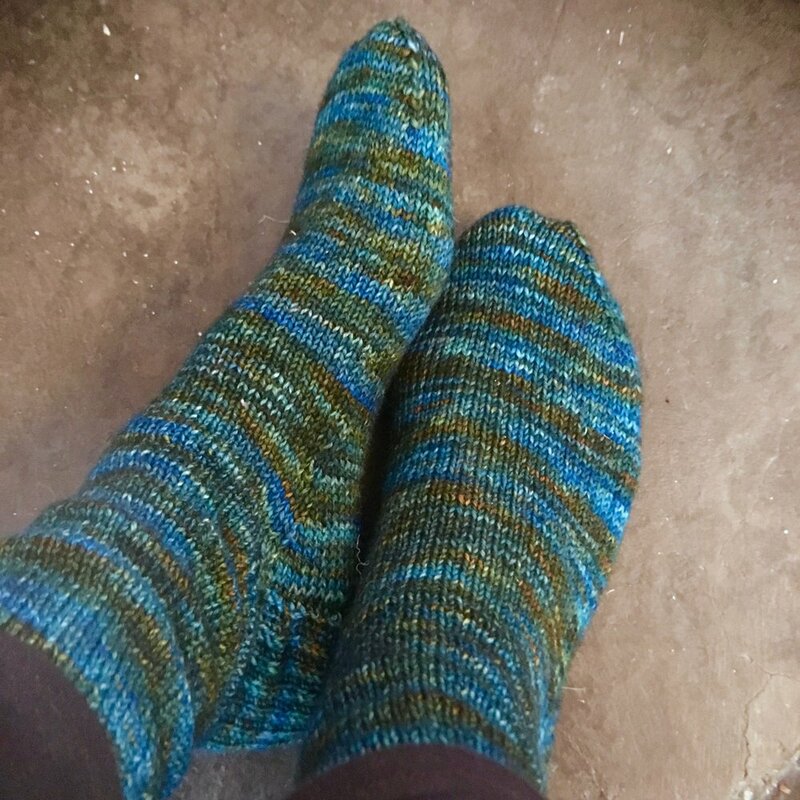 Basic socks modeled on the Yankee Knitter Classic Socks pattern, in Madelintosh Twist Light, colorway Shire. 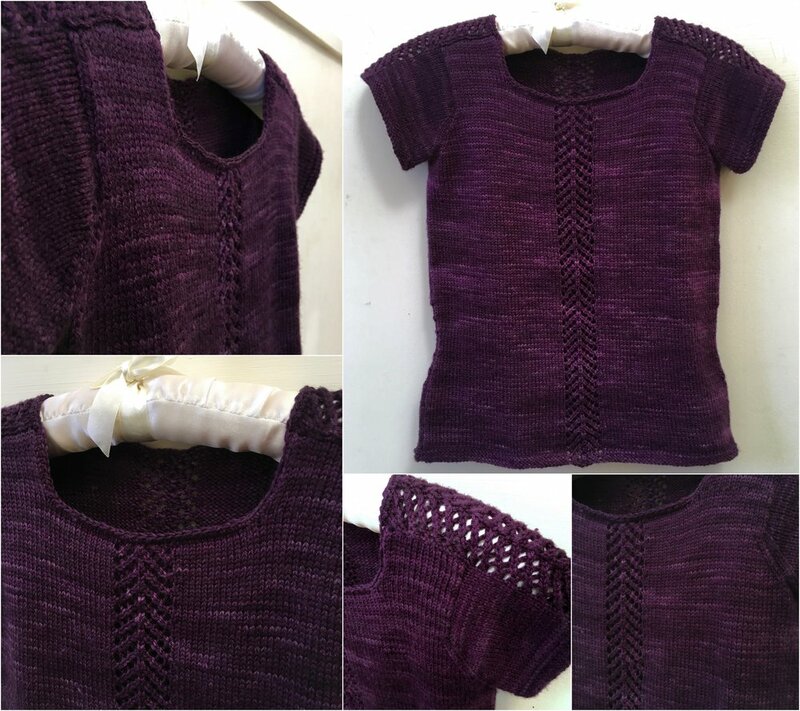 And finally--FINALLY--I finished the One Way Tee by Debbie O'Neill. The yarn is Shalimar Yarn Breathless DK, colorway Byzantium, and it is heavenly. I haven't yet cast on a new sweater project, but I've got one picked out, the yarn wound, and the swatch, well, swatched. Something in lacy, silky tencel, to be a light layer over a turtleneck in winter, or a tank top in summer. With luck, maybe It will only take me a few months, rather than a few years! Second Flag of Resistance, December 11 - December 31, 2017.